You may be wondering how CLT homeownership is different from market rate homeownership. Well, CLT home ownership is practically the same as market rate home ownership. CLT home owners build equity, make their mortgage payments, and are responsible for property taxes. They can use their yards as they wish, and can make aesthetic modifications to the homes. The idea of the Firesite becoming a part of this new CLT organization, that could build multiple owner-occupied houses that will remain permanently affordable, is now very real possibility. We look forward to hearing your thoughts and insights during the upcoming Community Meetings, held on the first Tuesday of each month. 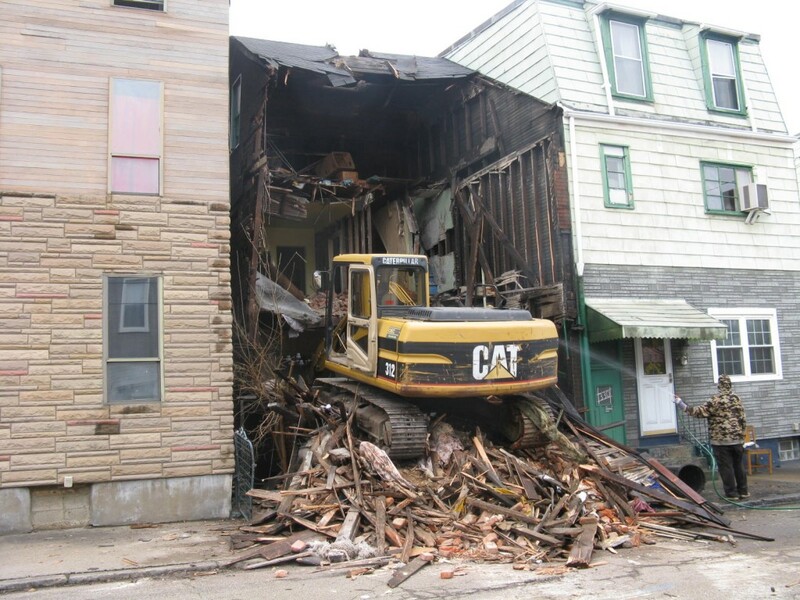 A cute little red house at 332 Hancock — one that unfortunately turned out to have irreparable structural issues — is the latest Polish Hill demolition. Safety is important, but it’s sad to see another bit of the fabric of the old neighborhood lost. Current building codes make putting new buildings in narrow spaces like these problematic, and sometimes impossible. The commonly used term is “missing teeth”, and Polish Hill has a lot of them. In many places, they’ve become green spaces, either wild or cultivated, and provide relief from tightly packed buildings. UPDATE: We just got some more information about what’s going to happen on this site. The owners of 332 Hancock have been working with Forecast D/B to design (and subsequently build) a new house on this property, one with a high level of LEED certification. When the new house is done, the owners will become Polish Hill residents. As mentioned, infill projects such as this one can be difficult under current codes. This will be an ambitious project that will add something special to Hancock Street. 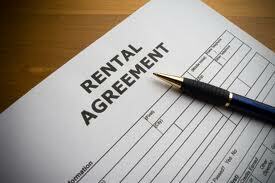 Do you own rental property? Are you thinking of investing in property and becoming a landlord? Do you have questions about the responsibilities of landlords? As a landlord do you have questions or recommendations for local policy-makers and agencies? If you answered “yes”, please join Lawrenceville United for a free Landlord Assistance Program on Saturday, December 8 from 9:00 a.m. – 1:00 p.m. The class will be held at Goodwill of Southwestern PA, 118 52nd Street in Lawrenceville. The class is completely free and will include a complimentary comprehensive guidebook to property management. Resources for property improvements will also be provided. To RSVP, call Lawrenceville United at (412) 802-7220 or email info@lunited.org. I was perusing the Post gazette this morning and found this article about debtors assistance. Butler County has a new program to assist individuals in financial crisis in finding assistance and in negotiating with their creditors. It sounds like a solution to the problem of rising foreclosures, assisting homeowners in staying in their home and stabilizing their situations. Does Allegheny County have a similar program? Glad you asked. 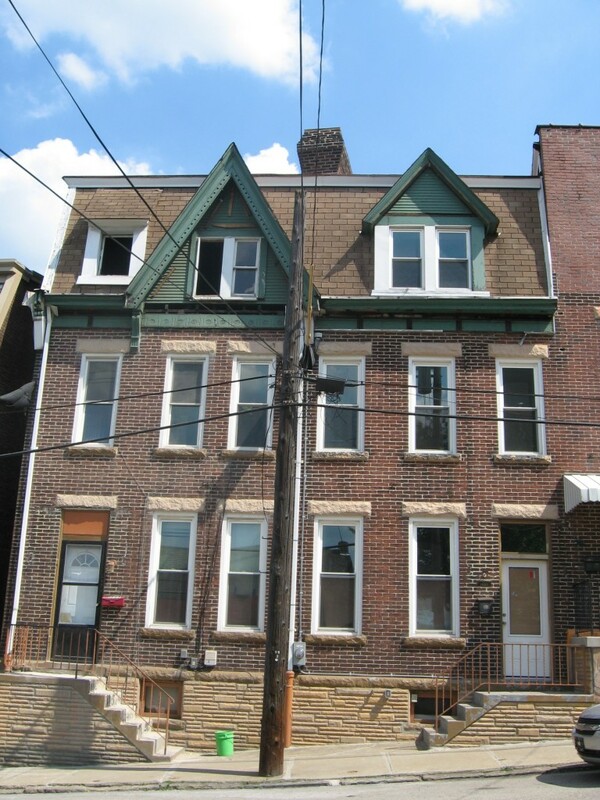 The Allegheny County Sheriff’s Department has two programs to assist those facing auction of their property; The Mortgage Foreclosure Hotline and the Mortgage Assistance Program. Both programs require that you meet certain qualification for assistance. More information is available here. ACTION Housing also offers the Homeowners Emergency Assistance Program, which assists individuals in navigating state programs and will put a freeze on foreclosure proceedings. Another program for assistance is the Get Help Now Pennsylvania program. This is a volunteer initiative to connect Pennsylvanians facing financial difficulties with advice and assistance from professionals in their communities. Help desks staffed by volunteer lawyers and financial professionals are open Tuesdays and Thursdays, 1 p.m. to 6 p.m., July 7 through Sept. 11. The Allegheny County branch of the Pennsylvania Bar Institute is located at Heinz 57 Center, 339 6th Avenue, Pittsburgh, PA 15222. Programs to assist in times of crisis are in place at every level, including federal. The Making Home Affordable program assists homeowners with refinancing or modifying your mortgage agreement. The program even offers credit counseling with HUD approved counselors. If you are in need of assistance, check into these programs. Maybe there is some help out there for you. Alina Keebler of TAI+LEE Architects is working on a new project of her own. She is renovating 1020 – 1022 Herron Avenue (pictured above). Alina would like to restore the facade of the property to its original 1880s look. She has already begun removing the aluminum that was probably added in the 60’s; the door on the right has been replaced and the transom has been reopened. Next on the list is restoring the mansard slate, gable, dormers, box gutter and brackets. On Saturday March 20th from 1:00-3:30 pm there will be a home energy efficiency workshop at the Mifflin Avenue United Methodist Church (900 Mifflin Ave, Regent Square). The workshop is free and open to all Pittsburgh area residents. The workshop includes presentation on DIY energy improvements, alternative sources of energy, tax credits, rebates and incentives; and project planning. There will be breakout sessions on the PA home energy program and providers in areas such as windows and doors, insulation and HVAC and energy audits. Special activities include design consultations by the Community Design Center of Pittsburgh (bring photos of your home), and tours of Mifflin Ave. Church and its historic windows. There will be a number of information tables from local utilities, suppliers, advisers, and contractors. This event is sponsored by the Greater Park Place Neighborhood Association, Regent Square Civic Association, and Neighbors Unite Wilkinsburg. For more information, check the RSCA website, the Park Place blog, or call 412.391.4333. Renovation is a messy job that produces lots of debris. And dumpsters are large and ugly; they take up space, and they seem to sit there too long. But dumpsters are also a sign that people are investing in the neighborhood. 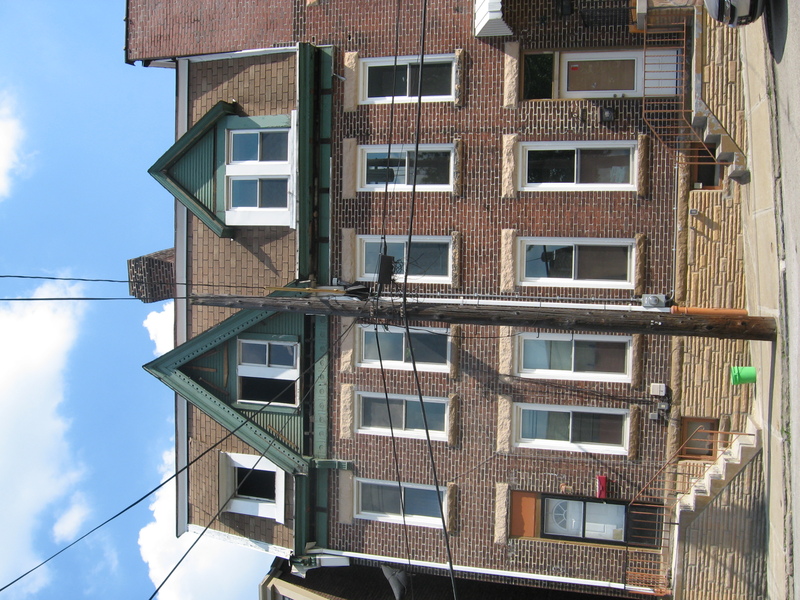 Vacant properties are being bought and fixed up all over Polish Hill. 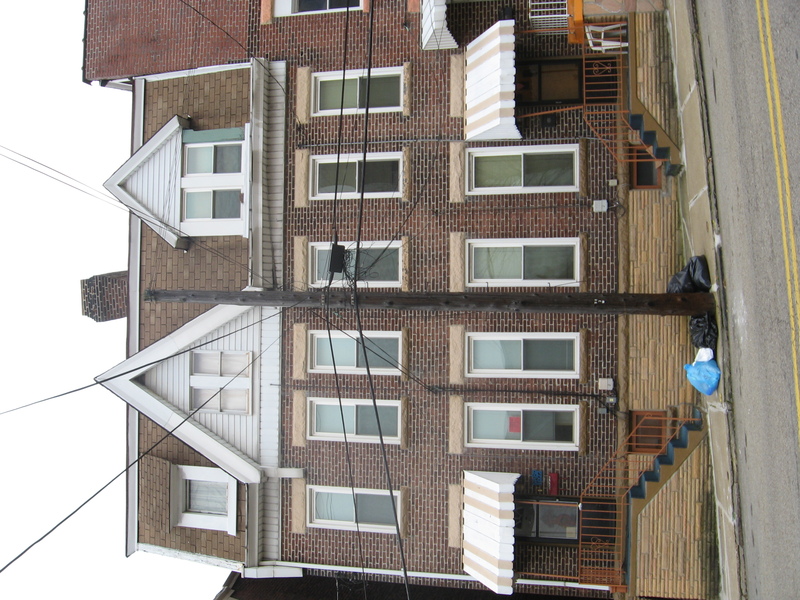 It takes a special person to tackle some of these projects: what Polish Hill has the most of are houses that need patience, money, and months of hard work to bring them back to life. This process, which can be dirty, unsightly, and occasionally noisy, can try the patience of neighbors. But a restored house on your block will help raise your property value. And some of those dusty people are going to be your new neighbors–probably for years to come. The above photo is a fine example of the art of dumpster packing, as seen on Brereton Street. 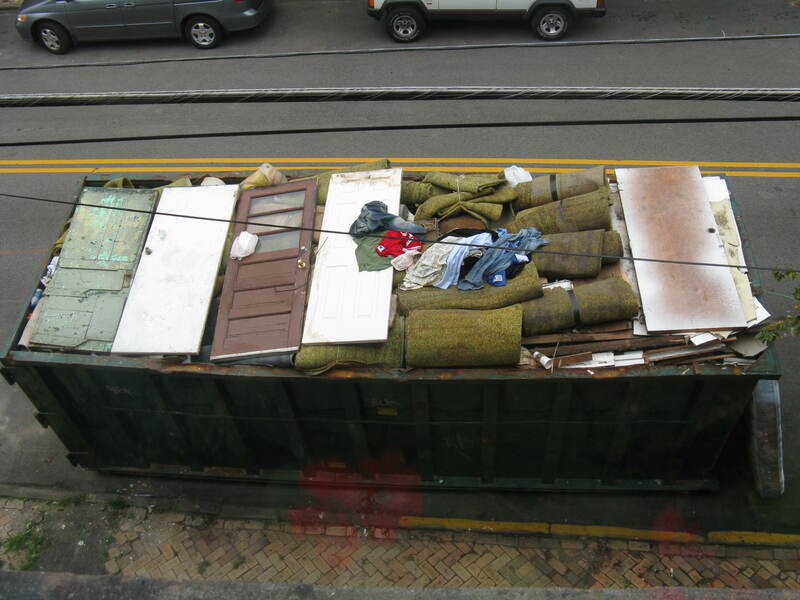 It might seem obsessive to spend time carefully organizing debris in a dumpster, stacking wood, rolling carpet, but if you do, the dumpster will hold a great deal more than if you just threw everything in. And at a several hundred dollars for a dumpster, it’s worth it to take the time–one of those little lessons for those of us who haven’t yet bought our fixer-upper. There was an op-ed piece in the New York Times today with particular relevance to our neighborhood. Written by Richard Moe, the president of the National Trust for Historic Preservation, the article makes the case that older buildings can be preserved and made almost as energy-efficient as newer ones, in the process helping create jobs, revitalize neighborhoods, and reduce energy consumption and carbon emissions. Polish Hill, of course, is mostly old houses. The large number of older houses (and relative lack of modern structures) help give the neighborhood its unique character, and they’re one reason why so many people are attracted to Polish Hill and want to move here. 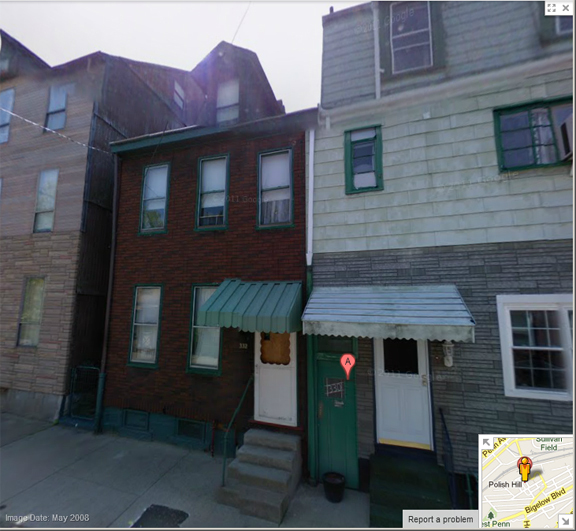 Many new residents have invested in the future of Polish Hill by buying houses and fixing them up. But renovating an old house is expensive, and many homeowners could use some information or assistance. 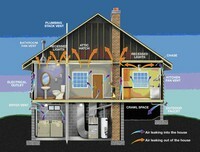 The first step to making an older home energy-efficient is an energy audit by a local utility. These audits can be obtained in many communities at little or no cost. 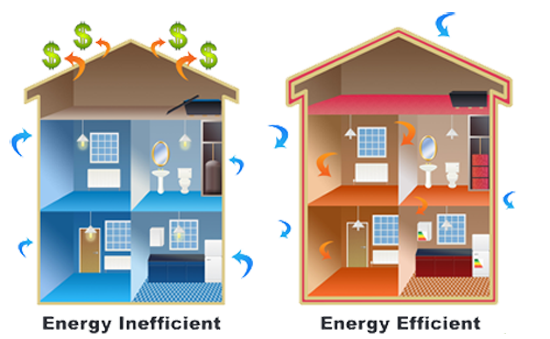 They help identify the sources of heat loss, allowing homeowners to make informed decisions about how to reduce energy use in the most cost-effective way. Help is on the way from another source: the Obama administration is taking steps to help homes save energy with a program that will invest almost $8 billion in state and local weatherization and energy-efficiency efforts. The Weatherization Assistance Program, aimed at low-income families, will allow an average investment of up to $6,500 per home in energy efficiency upgrades. Micro homes are tiny houses, and an exciting new trend in housing options. I define them as ones with less than 500 square feet. Why have more house than you need? A little place is cheap and easy to own and maintain. Now, 500 square feet sounds really small to me. But, if you figure that a standard row house living room is about 170 square feet, that would leave you with two generous rooms and a bath. Suddenly, it doesn’t sound micro so much as small. You would certainly save a lot on your utilities in a space that small.